Maktabah.org is a project aimed to collect and promote Islamic books on the internet. It is like an online library which will catalog and store all the free Islamic books present on the Internet, with reviews and online links to the sources. We are a small team of student volunteers who aim to realize this dream of a cloud of Islamic knowledge, put together on the internet. We work together to share the knowledge of Islam with all humanity, in all languages. As there are already thousands of Islamic books available online in Arabic and English, our objective is to focus more on smaller languages and provide as much books as possible in as many languages. Currently we have books available in more than 80 languages. At start, we are only focusing on classical and ancient books, which are most read and most sought after. Later on, we will add many other historical books and modern books in our catalog. But as the number of Islamic books published today is quite huge, we cannot provide every Islamic book, rather we focus on classical writings. We have also started publishing some Islamic books through self-publishing services widely available today. You can buy books from our store which is a frontend to our publisher. We are not going to publish all the books, rather those books which are not available in the International book market. See the store for further details. We welcome you to download and read the books on www.maktabah.org and also request you to send us any valuable Islamic book that you want to see on our website. We will try to publish it as soon as possible. But due to the large amount of books already available, we prefer those books which are not available online, or are not easy to find. To catalog all the Islamic books freely available on the Internet. To put more Islamic books online, specially early authentic manuscripts and classical texts. To diversify the knowledge of Islam by presenting books in every language of world. To allow users to be able to create personal libraries, where they can create personal copies of the books and make notes in them. To assist researches to take notes and create references to books as well as individual pages. To present all the stuff free of cost, to all users, and always. This project will only catalog and host free books, which either have no copyrights, or the copyrights allow free reading. Most of the Islamic content remains free today. But we will also focus on purchasing the copyrights of valuable books, for the benefit of readers. This project is open to books related to any sect, school of thought or organization related to Islam. But we will not allow any books that contain hatred, and try to create differences among Muslims. This project requires financial support in order to make it a realistic online Islamic library, where users can browse, search and read Islamic books, as well as create notes and references for their personal use or research. We request you, whether a person, organization, company or government body, to donate to this project. We specially request those Islamic organizations which aim to promote Islamic books, to fund this project and promote the Islamic knowledge in all languages of the world. Every human being, whatever language he/she speaks, deserves to know about Islam and its teachings. This is the place where this objective is to be achieved. This project fully depends upon volunteer work from the people who really want to achieve this objective. Hence we request you to work for us. Whatever field you specialize in, you may prove yourself to be a valuable asset for this project, and the Islam. Maktabah.org was started on 6th November 2008. The domain name maktabah.org was registered in a hurry, as no other proper domain name existed for this purpose. Maktabah is an Arabic word meaning library. 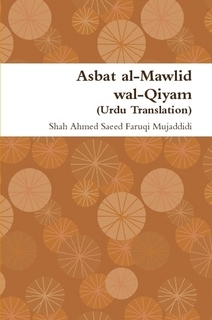 Maktubat category, under Sufism, contains letters of many great Islamic personalities, which are a source of inspiration and enlightenment for every person. This list is continuously increasing, with the latest addition of Maktubat-e-Masoomiya, the letters of the famous Mujaddidi sufi shaikh Hadhrat Muhammad Masoom Faruqi Naqshbandi, son of Mujaddid Alef Sani.